Each year MacKillop Family Services collects gifts to distribute to Australian children in foster care, many of whom have never received anything new. 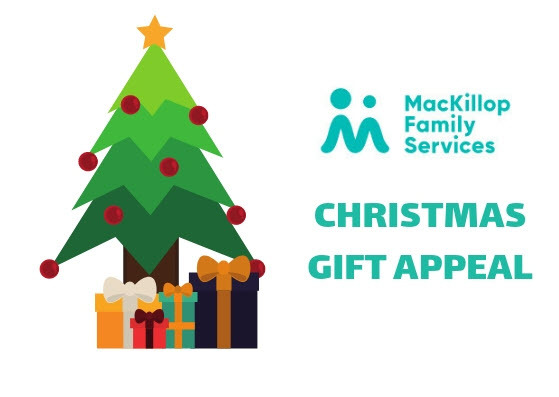 This year you and your family have an opportunity to share our good fortune with those in need by donating a gift to the Fairfield Primary School Christmas gift appeal for MacKillop Family services. To take part in this community endeavour, purchase a gift from the list of suggestions and deliver it (unwrapped) to the Christmas table in the school foyer. On Wednesday 12 December, donations will be delivered to a representative of MacKillop for wrapping and distribution to disadvantaged children. While all gifts will be gratefully accepted, please consider choosing from the 11-15 and 16+ age group suggestions, as these young people are often harder to provide for. View the list of gift suggestions!